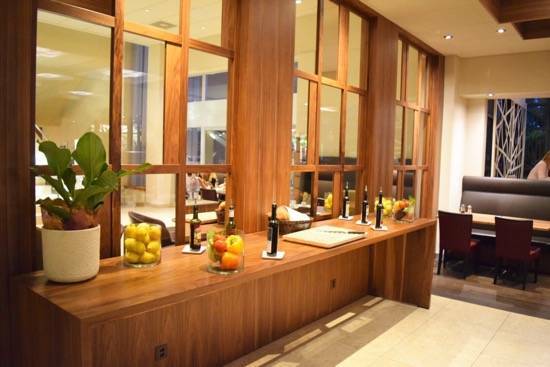 In general, Mövenpick restaurants, are well known for heir good food and wine and there are several restaurants/bars that will serve your needs at Mövenpick Zurich Regensdorf. I stayed at Mövenpick (my first ever Mövenpick stay, read about my experiences here) for one night only but managed to try out two of their restaurants and had their breakfast, so I feel like I made the best of my 24-hours stay. There are several restaurants and me and my friend had dinner at the Mövenpick Hotel Restaurant. 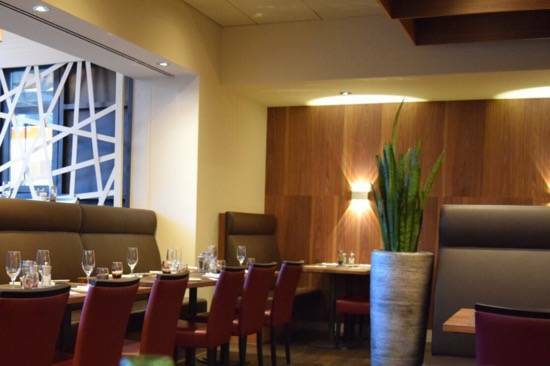 It serves international as well as regional cuisines and wines as well as the breakfast in a very more modern atmosphere. Bruschetta is definitely one of my favorite starters and I would never say no to such a greeting from a kitchen 🙂 It never goes wrong with Bruschetta, and I enjoyed the sprouts on it. I had tried the vegetarian tartar before I had the vegetarian burger. I never had a vegetarian tarter (or non-vegetarian), but my friend (who lives in Switzerland) told me it is a kind of Signature dish, so I tried it and it was good. Well, actually the beef tartar is the signature dish, but I assume the vegetarian version is also a great choice. I am always looking for the perfect burger and this one was actually really good. It included the vegetable patty, brioche bun, iceberg lettuce, cole slaw, tomatoes, avocado, cress and was served with French fries. Mövenpick Restaurant actually also has some vegan options which is great to see they go with the time. After dinner, the waitress came and presented us some special desserts and because I like food, I actually ordered two desserts. Based on the recommendations of my friend I tried the Toblerone dessert (it was not on the list but showed to us by the staff and it was just awesome) and then I had the Creme Brûlée. Both were extremely good and as it happens when I see something very delicious I forget to take pictures and start eating 🙁 (need to learn that soon). Note: The wine card was extremely good: at least this is what my friend said. I personally do not drink alcohol but according to my friend, it really was good and great for wine lovers. The next day we had some lunch at Trattoria Ciao in the Mediterranean Atrium Garden. The weather was perfect and so it was a great location for a nice lunch. When I eat Italian I always have problems deciding between pizza and pasta but finally ordered some pasta – Spaghetti con Verdura which was as good as the name. Before that, I had an Insalata Mista and for dessert I had, how else could it be, Mövenpick ice-cream. When at Mövenpick you can never go wrong with Mövenpick ice-cream. I think, I gained some weight at Mövenpick but I think it was worth it and if you are close by or staying at that hotel I can definitely recommend checking out the restaurants. P.S. Vegan dishes available. Find out about the best places to stay in Zurich. 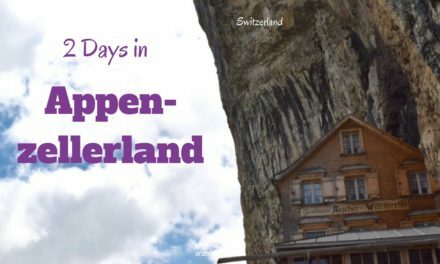 Here are my tips on the best things to do in Zurich. For more info check out the website of Mövenpick here. 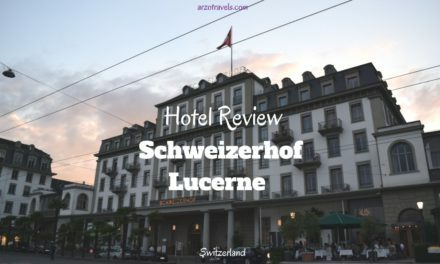 Disclaimer: I was invited by Hotel Mövenpick, but, as always all the pictures and opinions are my own Vegetarian Dining at Mövenpick Zurich Regensdorf. 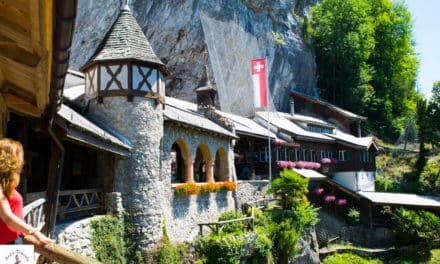 More about travel tips for Switzerland here – not only reviews about vegetarian dining, but you will also find travel tips for Switzerland and hotels review.